d Linux. Virtual reality is rumored. Kickstarter and closed alpha is expected to start between Q4 2016 and Q1 2017. Depending on which faction is your class, the objective of the game is to eliminate the opposing faction(team/alliance) or to Survive. Traitors, also known as The Black Rose are rumored to plot against the castle. 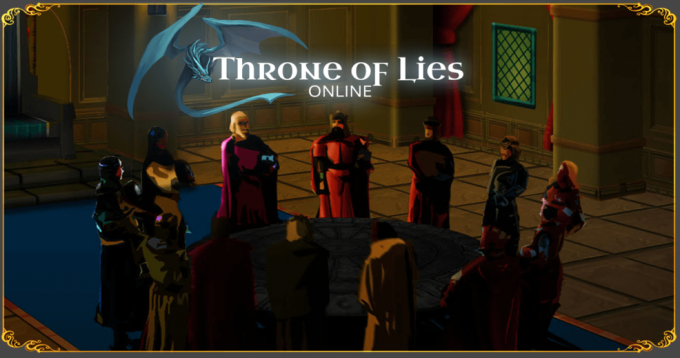 The loyal people of The Blue Dragon faction must discover who has committed Treason by using social deduction and clues. 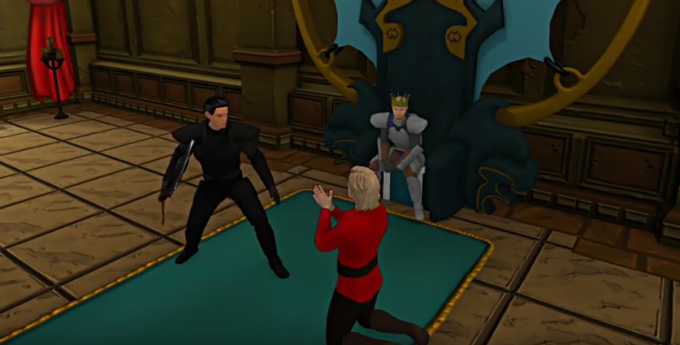 The game is simple : Kill the bad guys (The Black Rose faction) before they kill the good guys (The Blue Dragon): Kill or be killed, but you need to kill the right one. At night, bad players (The Black Rose) will generally murder or disrupt the good players (The Blue Dragon faction): These players can murder other players at night by use of night abilities. The Black Rose factions will be able to talk at night and know each other. On the other hand, at night, the good players (The Blue Dragon faction) will attempt to either investigate, defend or support others, with a select few being able to kill. They will attempt to determine who is friend and foe by investigating. Most good players will not be able to talk to each other at night. The good guys, even though they outnumber The Black Rose, do not know who is who. During the day, players discover who was murdered the previous night and discuss the case. They will bring clues (and fake clues fabricated by The Black Rose) into the table and by using social deduction, the discussion will unfold to a suspect. To help them, each player will have a day power that will be able to help the discussion. At the end of the day, one player will be accused as the traitor and be executed – It is your job to execute the right people. Of course, the game has more to learn: There will be Unique classes or Cult that makes the game more fun. If you want to learn more, scroll down and check out some of our links! In this game, each player is assigned to one of the four factions. 1. Blue Dragon (Good): The Blue Dragon’s goal is to defeat the Black Rose, Cult, and any neutrals that aim to destroy them. The Blue Dragon have to rely on investigative classes and their wits to discover the enemy. Only a few Blue Dragon classes have the capability of killing, so the Blue Dragon will usually have to rely on daytime executions to rid the of evil. The Blue Dragon outnumbers all faction, but they don’t know who is who. 2. Black Rose (Bad): The Black Rose’s goal is to defeat the Blue Dragon, Cult, and any neutrals that aim to destroy them. The Black Rose is the minority, but they know each other. 3. Neutral: Some Neutral class only need to survive until the conclusion of the game. Other Neutral classes have a unique objective. 4. Cult: The Cult’s goal is to defeat the Blue Dragon, Black Rose, and any neutrals that aim to destroy them. The Cult will start with only The Cult Leader. The Cult Leader will have the ability to recruit most Blue Dragon and Neutrals into the Cult. All Black Rose members will be immune to Cult conversion. 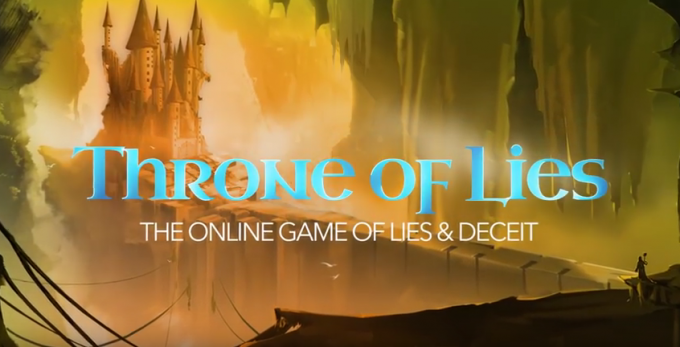 Throne of Lies is not like other social deduction game. The game has two important mechanics. 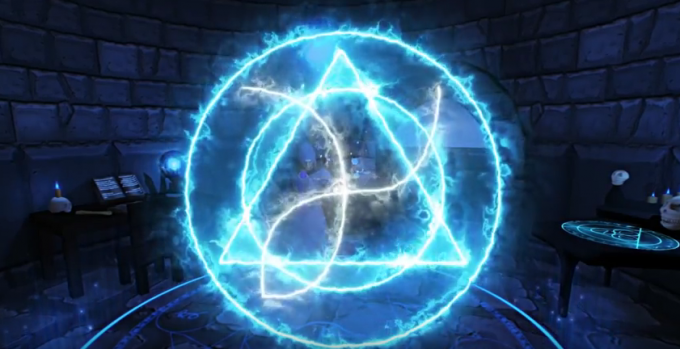 At the beginning of the game, a player will be The King and assigned a non-cult faction. The King has the power to manipulate the game with extra votes and the capability of vetoing the result. 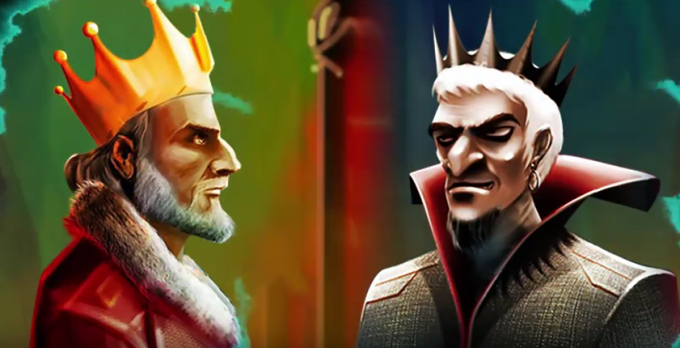 The King is dangerous for the opposing faction, so dangerous that everyone who opposes him will try to assassinate him. If the assassination successful, a self-nomination process to find the next king is opened. 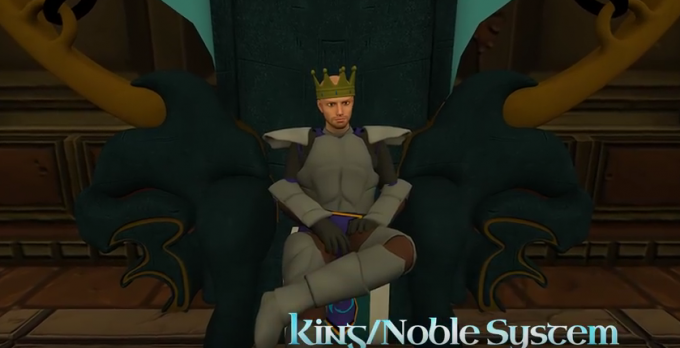 Nobles can step forward to replace the king. The Black Rose and the power to convert. Every hero needs a good old plain villain and Throne of Lies is no exception. The Black Rose starts with The Assasin and The Mastermind. The Assasin will be the one who pulls the kill while The Mastermind will be the one who converts.The Mastermind is capable of bringing other players into the Black Rose and that’s where the fun begin. The Mastermind is capable of bringing other players into their own faction. This is possible since the maximum size of The Black Rose is three people. If The Mastermind is succesful on coverting a player, the player will now supports the Black Rose. In addition to that, the converted player will get a new class. The new class is a clone (albeit not the exact same) of their original class. If The Assasin dies, the converted member becomes the new The Assasin. The Mastermind, however, cannot be replaced. Special = Some classes are one-of-a kind, such as The King or The Mastermind, that doesn’t fill in on other type. Support = Support class aids others by healing or empowering other classes. Wildcard = Wildcard classes are self-interested subject, who only supports themself. My first game was on Windows 3.1 when my mother (a developer, too) taught me how to go to DOS and use the floppy disk to play Space Invaders and Epic Pinball. I have been in the gaming industry for over 10 years, opening South Carolina’s first cyber cafe when I was only 20 years old. I was in the gaming industry, but I really wanted to be a developer. I developed for quite a long time for cyber cafes and game-related apps, including college projects — however, I was still developing around games rather than for games. Finally, I am able to both be in the gaming industry and directly develop games – living the dream! We use the Unity3D engine for our core, PlayFab for our BaaS and Node.js for anything in between. The time it takes to make a game online multiplayer is the time to make 4 more offline indie games – it’s quite complicated and takes a vast amount of knowledge, trial and error. We are one of the first few flagship titles to release using Unity’s new “UNET” multiplayer system, so documentation is still new and there are not many people that are able to answer questions, so we’re pretty much on our own! We’d love to make an online tactical game — there are countless tactics games, but why are so few, if any at all, not online? I would love to challenge my friend to a fantasy, turn-based tactical game inspired by Final Fantasy Tactics. I have made a few text adventure games, an Android toolbox of tabletop modules (DMToolbox – a college project), and a few API’s (developer tools to pull stats and such) for games – also UI’s and experimental features for game centers (I used to work as a senior R&D dev forSmartlaunch). I also made an online zombie shooter, but I never released it. All in all, I have made things for games and have experimented repeatedly, but this is my first flagship game. Super Nintendo. I am very inspired by RPG’s and SNES did it best! Final Fantasy III for SNES (or 6, depending where you’re from). This was the most dynamic game with so many secrets and side adventures – I wish current RPG’s could mimic this game. I would love to see remastered games appear on the site — the next generation may not even know what some games are until they are remastered and remade. We are lucky for this to happen so every generation can experience what we felt.